SCTSA has partnered with Wonderworks in Myrtle Beach to offer tickets at the discounted price of $15 per ticket. Use the code: TSA to receive this discounted price. Tickets are on sale online for one week only but tickets can be used up to a year from the date of purchase. This is a $4.00 discount off of a child's ticket (up to 12) and almost $15 off of an adult ticket. If you are purchasing tickets as a gift, download the Online ticket authorization form Here. This is only needed if you will not be with the person using the tickets. Please support your SCTSA. State Conference Results can be found HERE. Check out the two new competitions at the National Conference! Sign up today to compete in them at Nationals! Your 2018-2019 State Officer team. 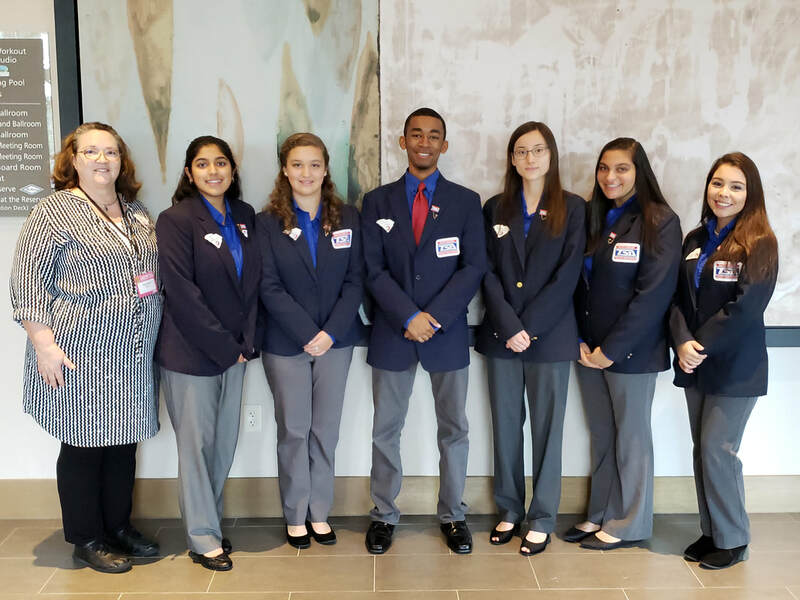 Our 2017-2018 South Carolina Delegation at the 2018 Nationals in Atlanta, Georgia. ​Ten Oaks Middle School Students who won 3rd Place in System Control Technology at the middle school level. Academy for the Arts, SCience, and Technology wins 1st place for LEAP Legacy at the 2018 National Conference. Academy for the Arts, Science, and Technology Fashion Design FInalists at the 2018 National conference.